I'm super excited to be kicking off quinoa week today with Bob's Red Mill! This week has been in the works since I first found out that Bob's was adding TWO new varieties to their quinoa line. You've been able to purchase Bob's Red Mill white quinoa for a while now, but within the last few weeks, they've announced that you can now also buy red quinoa and tri-color quinoa. How great, right!? Which is precisely why I jumped out of my seat when they told me they were coming out with red and tri-color quinoa! 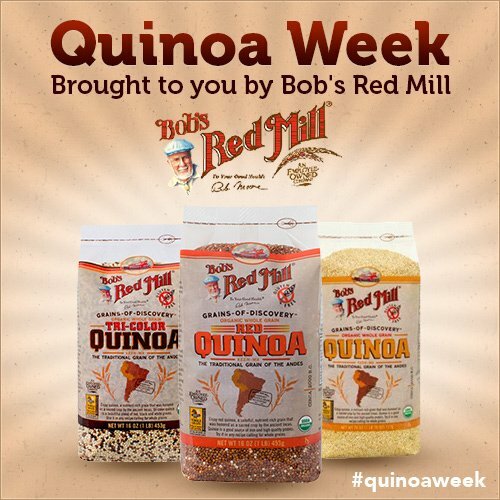 This week, we're celebrating all things quinoa with Quinoa Week, which is brought to you by the wonderful folks at Bob's Red Mill. 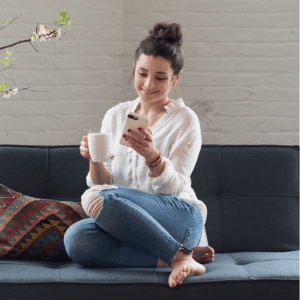 All this week we'll be sharing new quinoa recipes, doing great giveaways and talking the ins and outs of quinoa. 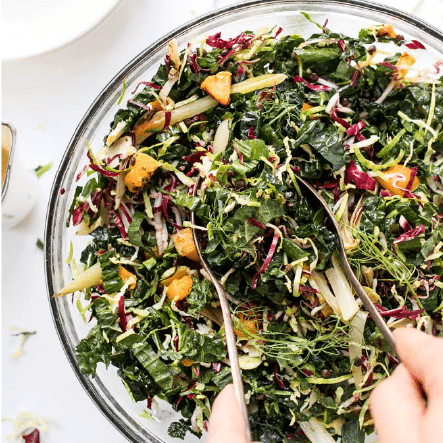 I'd love for you to come join the conversation by follow the hashtag #quinoaweek – I'll be sharing fun quinoa facts, recipes from the archives, and maybe even giving you a few extra chances to win! Tomorrow will be our first recipe of Quinoa Week and we're starting with a hearty Sausage & Quinoa Stew. The weather has been calling for a body-warming dish like this. 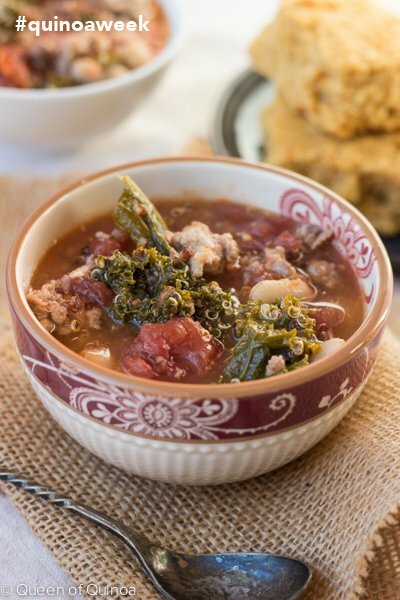 I use red quinoa in this recipe which helps round out the stew's flavor and adds a slight crunch with each bite. 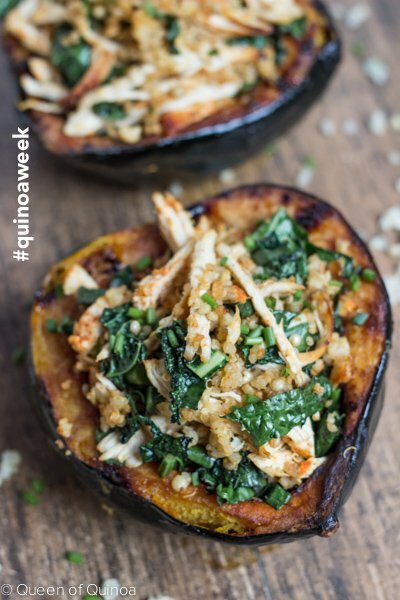 Wednesday we'll be enjoying Chicken & Quinoa Stuffed Acorn Squash. This is by far my favorite recipe I've made this season. 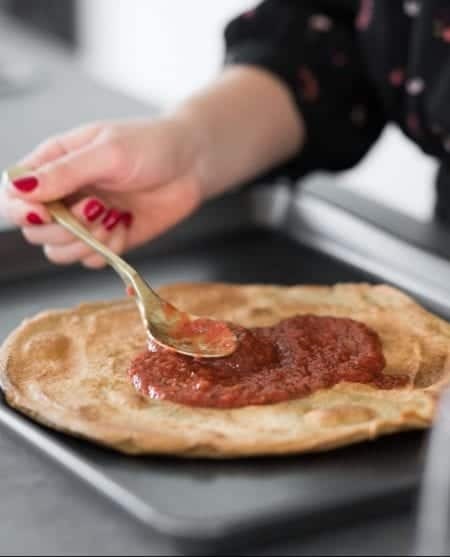 And it's so, so easy to make. White quinoa is the star in this dish and complements the rest of the ingredients perfectly. It's scrumptious. 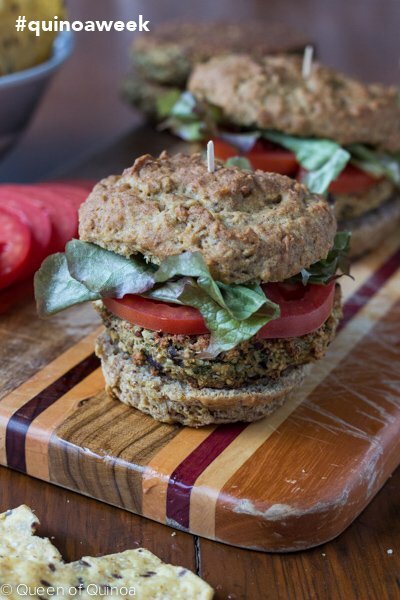 And then finally, on Friday we'll be enjoying these Quinoa-Eggplant Burgers. The first part of the week is a little meat heavy, so I wanted to give you something vegetarian. I often make veggie burgers using quinoa, but these ones are extra special because I use my favorite variety, tri-colored quinoa. 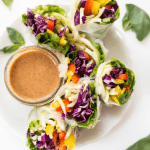 They're 100% vegetarian and gluten-free, and I promise, even the meat-lover in your life will enjoy these! As you can see, we have an exciting week planned for you! Just remember, there will be a giveaway with each new recipe and you will get THREE chances to win quinoa packages from Bob's Red Mill. Don't forget to follow the conversation at #quinoaweek! I can’t wait to get the recipe for Wednesday’s acorn squash. That is soooo my cup of tea. Love that you’re doing this Alyssa. I love Bob’s too! are the freebies going to be on facebook too?